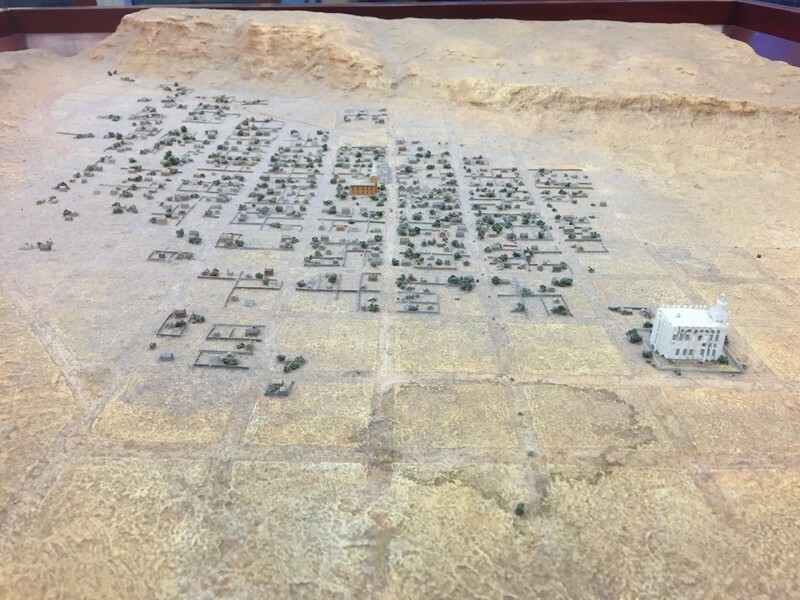 Brigham Young, with hopes of encouraging self-sufficiency within the church, called Mormon pioneers to settle southern Utah, a desolate desert. Though they established a growing community, and soon joined together to build an LDS Temple. The building of the temple served to unite the fledgling community. The temple construction was no easy feat, as the ground for the site chosen by Brigham Young was marshy; thus the Saints had to pack lava rock tightly by pounding it with a lead-filled cannon in order to build a safe enough foundation. Members volunteered one out of 10 days to work; women made drapery and clothing for the men; families donated time, labor, china dishes, and sometimes, even hair (as the stories go). The framing of such an incredible building was a massive undertaking in design and was only possible as members and non-members alike worked together to create a place to worship the Lord. Brigham Young said about the LDS members in southern Utah, “I will say that we have had a blessed time, such a time as no other people on the earth have enjoyed for many centuries, that we have any knowledge of.” The building of the St. George temple, the trials, the joys, and the sacrifice created a unified foundation on which the rest of St. George’s growth was built upon. 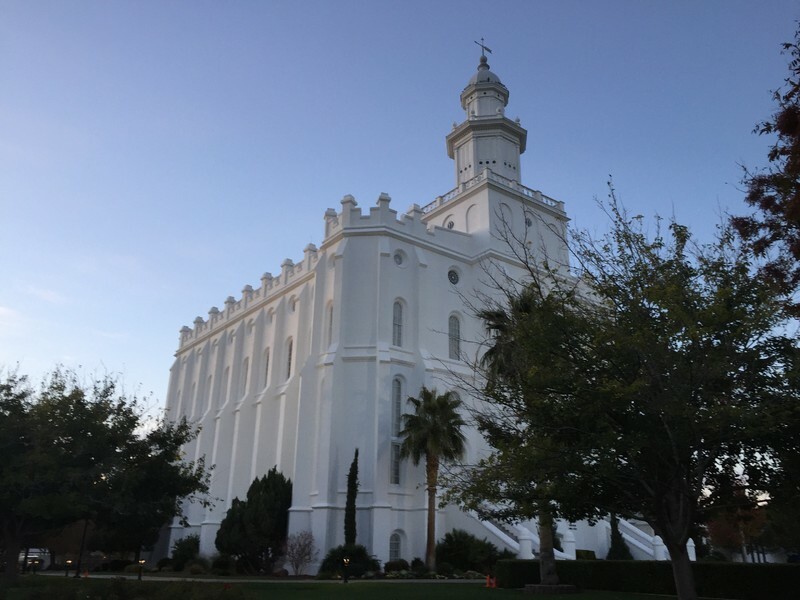 Mikell Smith, Brigham Young University, “Community and Construction of the St. George Temple,” Intermountain Histories, accessed April 19, 2019, https://www.intermountainhistories.org/items/show/6. Arrington, Leonard J. St. George Tabernacle & Temple: The Builders. St. George, UT: Dept. of Printing Services, Dixie College, 1993. 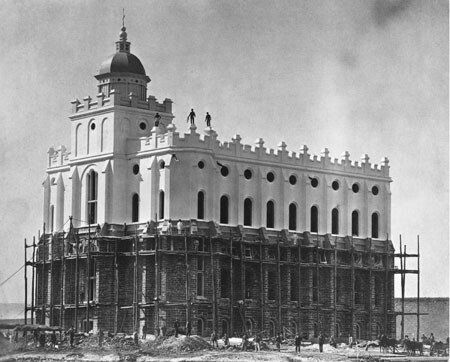 Building the St. George Temple. Available at http://www.stgeorgetemplevisitorscenter.info/temple/buildingtemple.html. Curtis, Kirk M. "History of the St. George Temple." PhD diss., Brigham Young University, 1964. Available at http://scholarsarchive.byu.edu/etd/4630/. Mathews, Dana D. "St. George Temple Stories and Community Influence." Interview by author. November 23, 2016. Young, Brigham. "Enjoyment in the South, Etc." Journal of Discourses 19, no. 1 (April 29, 1877). Available at https://journalofdiscourses.com/19/1.